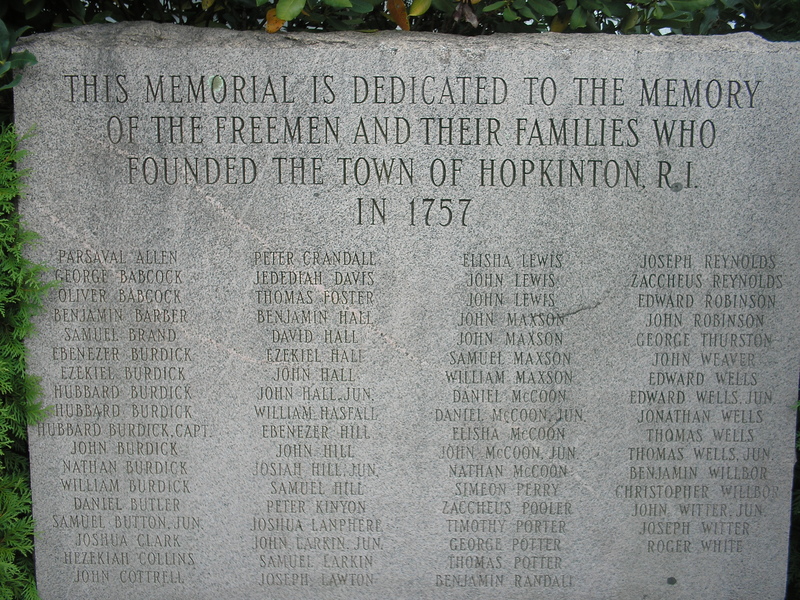 This is the monument in Hopkinton, RI dedicated to the families that founded the town in 1757. 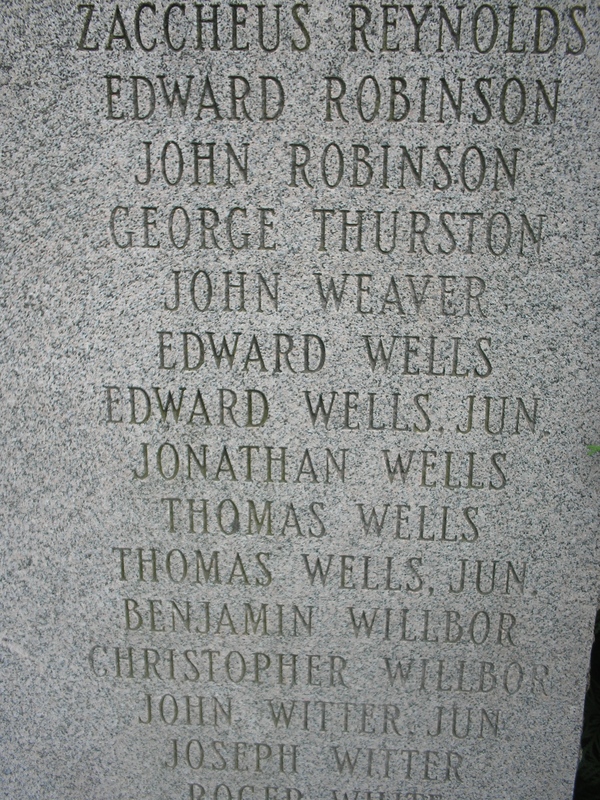 Edward Wells is Randall’s father and Edward Wells Jr. is Randall’s older brother. 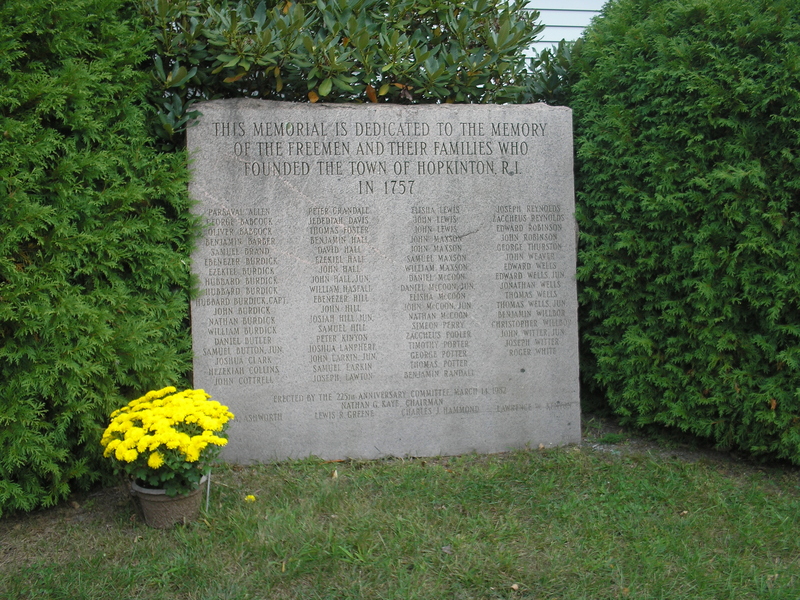 Randall isn’t on the monument becuase in 1757 at the time of the town’s founding, he would only have been 10 years old. I do mention this monument in the books when Randall is telling about the families they used to associate with back when he was alive, him saying that most of them were listed on this monument.